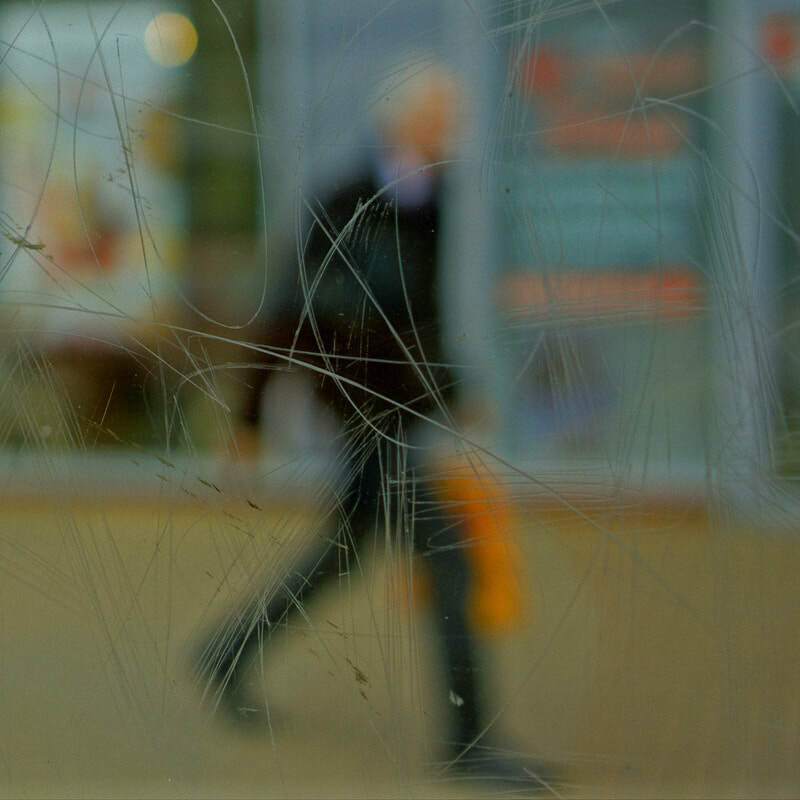 Stephens’s unique form of street photography is a consequence of frequenting bus stops and shelters around the City of Birmingham. Graffiti can be great art, however for Stephen, the etched, scrawled and scratched graffiti into the plexiglass windows of the bus stop feels like a violation. Stephen feels a windows full potential as a clear barrier between yourself and the elements are compromised when the view beyond is obscured, distorted and blurred by the scratches. Stephen uses the graffiti etched windows as a lens merging the graffiti and the view beyond, focusing his camera on the etched lines. He then puts the view beyond out of focus, causing the graffiti and view to merge. He creates a new perspective that retains and emphasises the energy of the graffiti. Its swirls, zigzags, lines and curves, slash across the abstracted view like paint strokes. Stephen puts the view that is usually the focal point out of focus, focusing focuses on what would normally be avoided the scratches. However, the resulting images are very dynamic. Making unique beautiful images out of the vandalised bus stop windows.